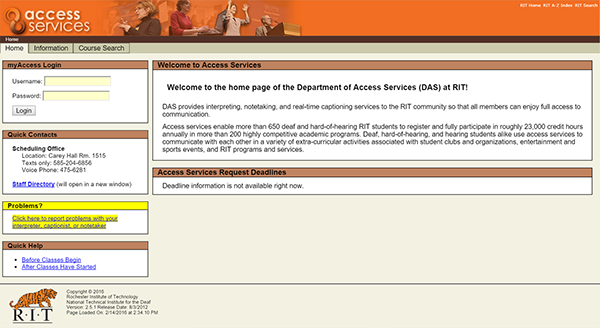 The current Department of Access Services webpage does not uphold the design standards of RIT and must be redesigned. 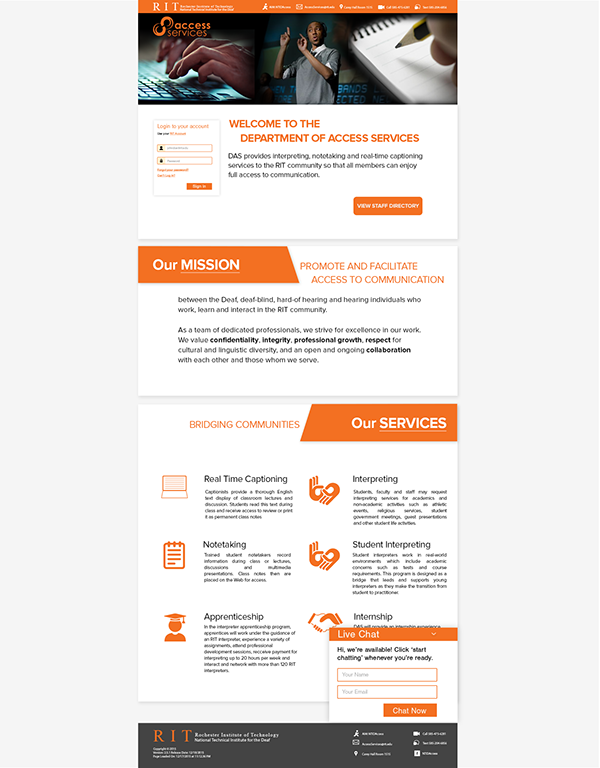 I took on the project and created a mock up of what I believed would ease the navigation barriers that are present on the current website. Barriers were discovered through student feedback collected prior to the redesign. The primary use for this website is to either request or cancel interpreters and download notes and c-print transcripts. 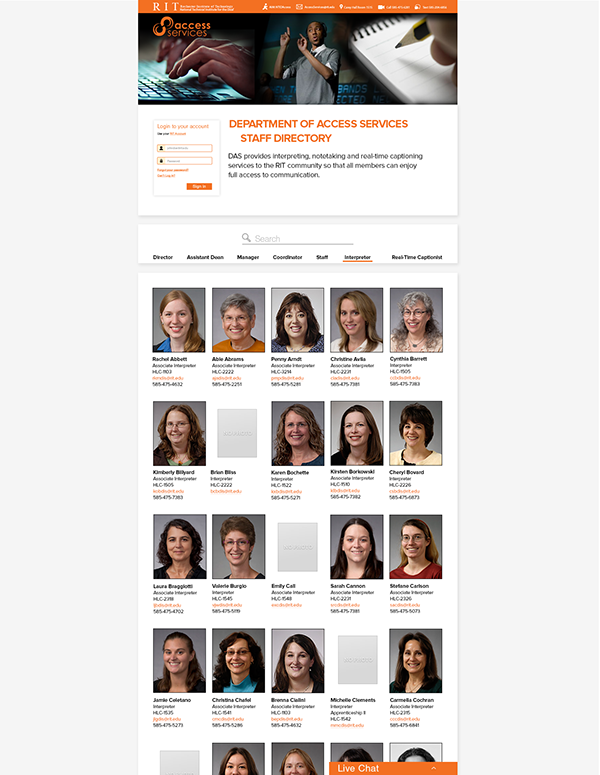 The staff directory is easily filtered by departments. This is to reduce the pain point of searching through 10 pages of current staff. 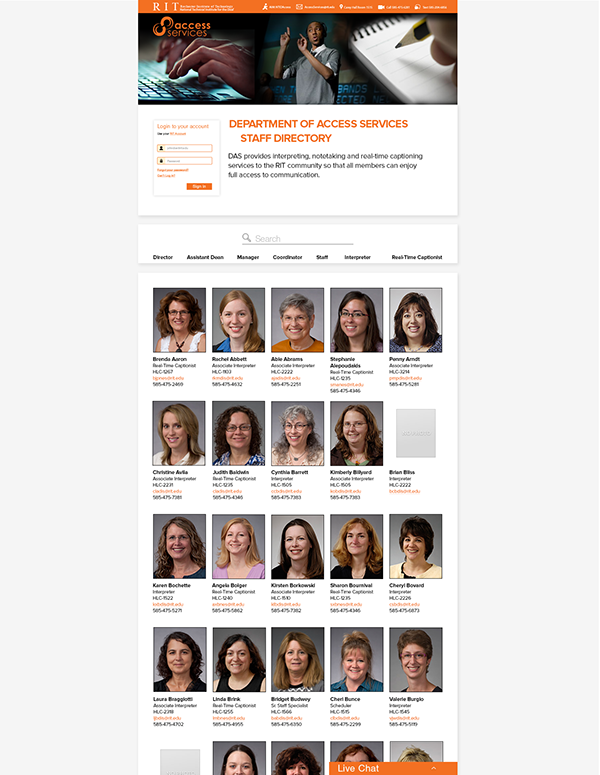 Redesigned MyAccess's website because it was desperately needed.